N.T. Wright on "Reclaiming Worship"
Our friends over at Inside Worship posted a wonderful short interview with N.T. Wright on "Reclaiming Worship," conducted by Dan Wilt from WorshipTraining.com. 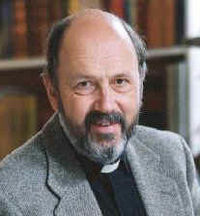 In the interview Wright offers some of his thoughts on the biblical picture of worship (Rev. 4-5), worship and creation (Gen. 1-2), how history should impact our worship today, and a couple concerns he has with our contemporary expressions of worship. I was particularly challenged by his tradition's high practice of Scripture reading in daily and weekly worship, versus our "almost cavalier" treatment of Scripture in worship. When you read Scripture during an act of worship this is not simply to give people information that they might have forgotten about... It's actually that you're telling the story of the mighty acts of God, and that reading Scripture is itself an act of worship--it is praising God because God is the God who is the God of that story. And to be able to lay that out--step by step, day by day, week by week--is hugely important. I also enjoyed his encouragement for the use of corporate prayers in worship. I have been amused sometimes to see that even within in the freest of free church traditions sometimes people come upon these great old prayers...and they say, "My goodness, that absolutely says what in my very best moments I really want to say, and it says it so beautifully that the very act of saying it is an act of praise and celebration." And then they think, "My goodness, it's a set prayer, ought I to be doing that?" And the answer is, "Well, yes. If the Holy Spirit helped that person pray like that, why shouldn't you come in on his coattails." Do we have to be such rampant, Western individualists that we can't bear the humility of learning from somebody else? I highly, highly, HIGHLY recommend taking 20 minutes to LISTEN TO THIS INTERVIEW! Watch this video that makes a mockery of contemporary-relevant worship. It comes from North Point Community Church, a Contemporary Church mecca. The sad thing is, although North Point is hyperbolically addressing the over-relevant, over-informal, self-centered, psycho-therapeutic style in Contemporary Church worship, the video pretty accurately portrays the neutered structure of contemporary worship. Both are serious problems. Thanks, Brian, for sending me the video. 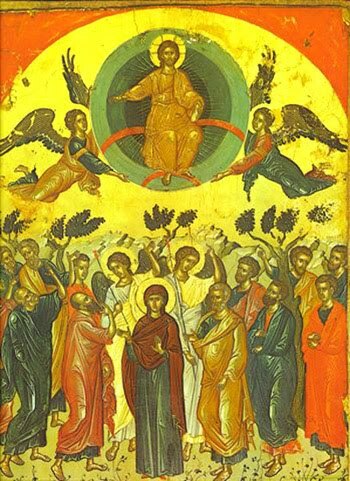 This year Ascension Day falls on Thursday, May 13th. It is the day, forty days after Resurrection Sunday, in which we celebrate Jesus Christ ascending into heaven and sitting at the right hand of the Father, where he rules and reigns as King of heaven and earth. A couple years ago we happened to be on a staff retreat on Ascension Day. Knowing that this great day was coming, I had a desire to lead our staff in its observance. So I put together a short liturgy with the help of the Book of Common Prayer. This liturgy is perfect for any small group setting, whether it be your church staff, home group, worship team, whoever. We will be worshiping through the liturgy as a worship team before we begin our regular Thursday band rehearsal on May 13th. It takes about fifteen minutes to go through it and includes prayers, Scripture readings, and songs. I hope you find this resource helpful. Whether you use it or not, please find a way to celebrate Ascension Day. It would be a pity to skip over this great day without even knowing it. What an opportunity, too, to lead our people into a deeper practice and greater understanding of Christian Year worship!